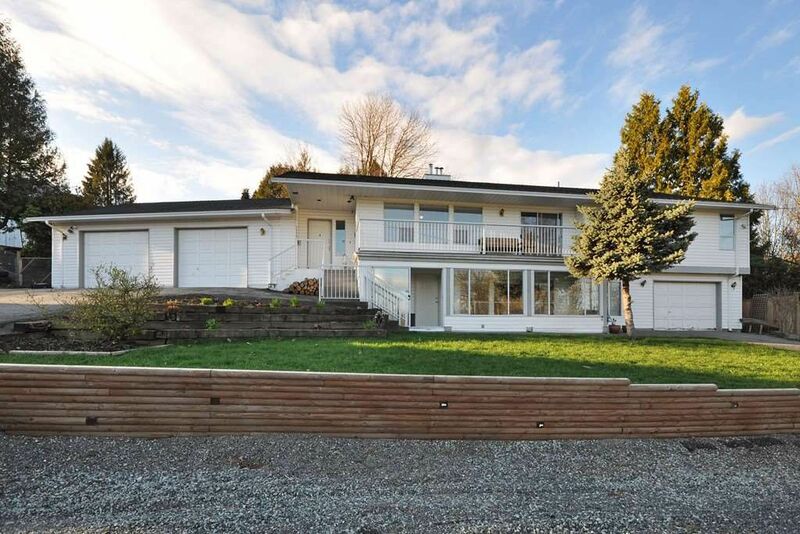 Huge .40 acre lot with views of Sumas Prairie & Mountains, private fenced yard with hot tub. 2182 sq.ft. Rancher with 1773 sq.ft. walkout bsmt. Lots of updates - new flooring granite countertops in all 3 bathrooms, newer furnace w/A/C & hot water tank. Dbl & sgl attached garages. 2 solariums.